HYDE PARK — To treat a 3-year-old with a rare immune deficiency, doctors at Comer Children’s Hospital took an unprecedented tack: They replaced his immune system by performing the first stem cell transplant on a patient with his condition. Noah Galloy, the youngest son of Ryan and Jennifer Galloy, has returned home after the procedure last month at the Hyde Park hospital. Although he's not out of the woods yet, he is quickly approaching the 100-day mark, when his doctor will consider the transplant a success. Dr. Micah Bhatti "has been amazing. We truly believe without transferring our son to Comer he wouldn’t be alive today,” Jennifer Galloy said of the University of Chicago pediatric infectious disease doctor coordinating her son’s care. Galloy, a high school English teacher who lives with her family in southwest suburban Plainfield, began to worry in January of last year when her then 2-year-old son was getting constant ear infections that didn’t get better with antibiotics. She began to think something was seriously wrong when his neck began to swell. “He was not even sickly looking, except he was skinny, and his lymph nodes were swollen,” Galloy said. He seemed relatively happy but wasn’t interested in eating and was losing weight. “He completely fell off the growth chart,” she said. Doctors at Advocate Hope Children's Hospital in Oak Lawn suspected a problem with his tonsils and adenoid and removed both. 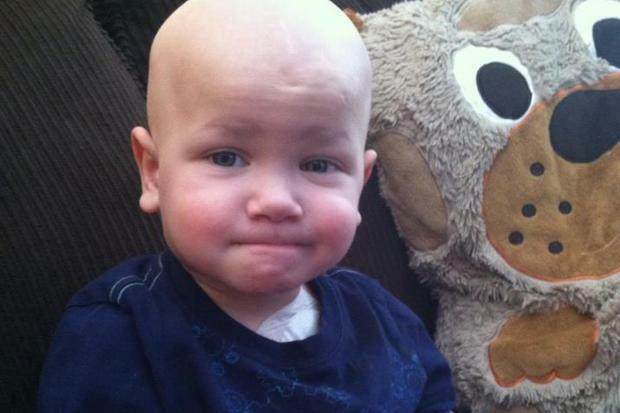 But within days, the swelling in Noah's neck increased, and his parents transferred him. Noah tested negative for all common diseases when he arrived at Comer, but when doctors used a special camera to look down his throat, they discovered a fungal infection that was making it extremely painful for him to eat. Still, that didn’t explain the swollen lymph nodes. Last spring, Noah tested positive for mycobacterium avium complex, or MAC, a group of bacteria that commonly infects AIDS patients and others with compromised immune systems. To Bhatti, the weight loss and the infection suggested an immune deficiency disorder. That's because Noah’s immune system didn’t recognize the threat and wasn’t utilizing the measures the body typically uses to kill bacteria, such as coughing, diarrhea and fevers. After studying a segment of Noah’s DNA, Bhatti discovered it was even worse at the cellular level. The cells in Noah’s body in charge of capturing invading bacteria were going after the MAC, but were not getting the chemical signal to kill it. The cells charged with making the call, like sleeping generals, never sent the kill order. Immune deficiencies are rare, but the defect in Noah’s DNA is extremely rare. There have been only three documented cases in the United States and a total of 141 in the world. What the doctors were suggesting next had never been tried before to treat it. The arcane diagnosis and even more radical treatment were difficult for Noah’s parents to process. “We felt isolated, we felt lonely — there was nothing for us to even read,” Galloy said. Noah’s doctors suggested killing much of his immune system with chemotherapy and then transplanting cells from a donor to rebuild it. The procedure has been performed with success on other patients with immune system diseases such as leukemia and lymphoma, but has never been tried for the rare disease affecting Noah. The procedure carried as much as a 1-in-3 chance of failing, and even if successful, the chemotherapy could render Noah sterile. Dr. Micah Bhatti, an infectious disease pediatrician at Comer Children's Hospital, coordinated care for Noah Galloy while he underwent a stem cell transplant. The parent’s agreed to the transplant, and on Jan. 17, Noah went in to Comer to have most of the bone marrow in his body destroyed. On Feb. 1, a little more than two weeks shy of his third birthday, Noah had the bone marrow of a 59-year-old German man — matched through a registry — injected into his body. When Noah’s own immune system got to the point where his white blood cells were undetectable, he was given the transplant via an injection. He now carries the DNA of another person in his bones. There was still the risk that Noah’s weakened immune system will see the new immune system as a threat and attack it, or that his system would come back too quickly and overreact to the MAC infection. Indeed, Noah’s new immune system grafted right on schedule at 14 days, and on Feb. 28, Noah was able to go home. But Noah continues to fight the infection, and the doctors won’t consider the transplant a success until May 12, after at least 100 days have passed and his new immune system has bonded to him permanently. Galloy said in an email Monday that her son was having "skin issues" from the chemotherapy, and doctors are looking into his donor and T-cell counts, but "otherwise he's feeling good." “Our hope is he will be cured from the infection, and he won’t be at risk for future infections, but that all has to do with how he does over the next six months,” Bhatti said. 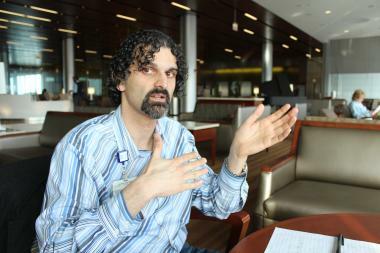 Bhatti said Noah's case will undoubtedly help Comer and other hospitals treat other patients in similar situations.